To better landscape your home garden, it is sometimes necessary to remove shrubbery to make space for more desirable plants, shrubs and flowers. Natural removal (without the use of chemicals) is the preferred method of removal, as you do not want to damage the soil from which your shrub has grown. Removing a shrub from your garden naturally does not require specialized gardening skills and can be completed in a matter of weeks. Prune the shrub with your pruning shears, starting at the bottom of the shrub to cut the width and height down. Continue pruning until you have direct access to the roots of the shrub. Use your shovel or spade to break up the soil around your unwanted shrubbery. Breaking up the soil helps make the soil more pliable during the removal process. Dig up as much of the shrub root as you are able, using your hands, as well as your shovel or spade. Hand pull as much of the shrub and shrub roots as you are able. 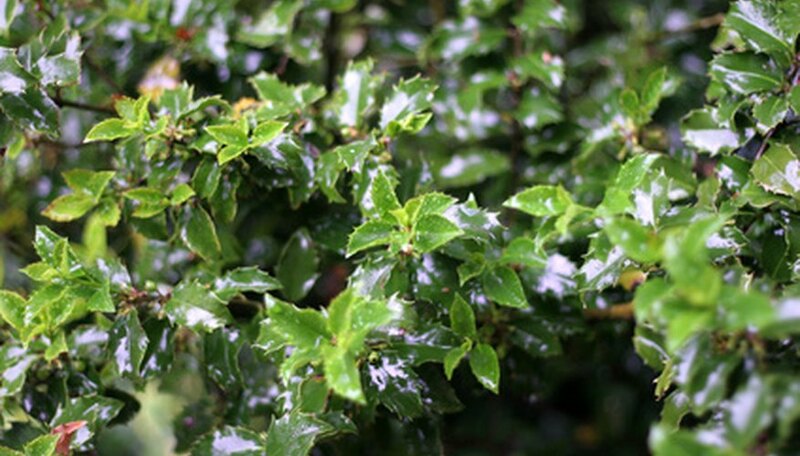 Place the shrub and pruned shrub leaves and branches in a plastic trash bag or compost bin. Spread old newspaper on top of the site of the unwanted shrub and weigh down the newspaper with bricks, rocks or heavy weights. Leave in place for two weeks. The old newspaper will naturally kill any undesirable roots that remain from the shrub.